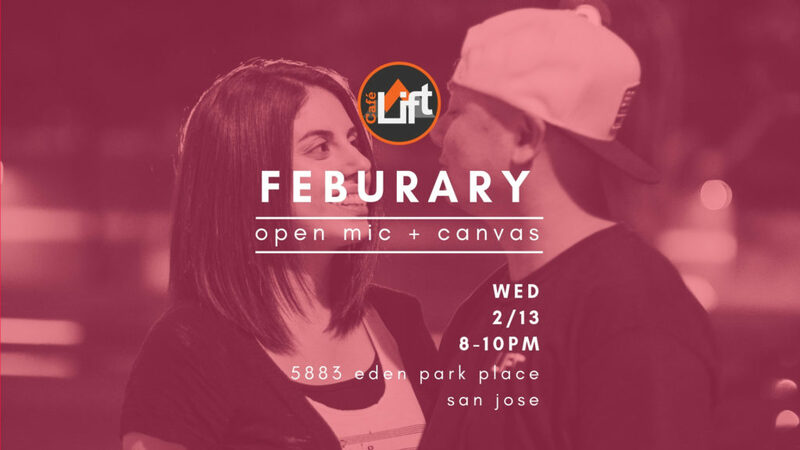 Join us on Wednesday 2/13 for a night of awesome live music and art at Cafe Lift’s February Open Mic & Canvas! Come play music, read poetry, perform spoken word, and paint on our open canvas! Or just kick back with us and enjoy quality espresso drinks, coffees, and teas!